8 October 2015 – Today, the European Parliament (EP) adopted an Urgency Resolution on the case of Ali Mohammed al-Nimr, a young Saudi sentenced to death and crucifixion for crimes he allegedly committed when he was 17 years old. The Urgency Resolution was adopted by an overwhelming majority of the house, by a show of hands. 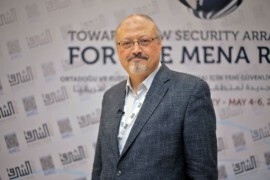 The European Centre for Democracy and Human Rights (ECDHR), together with Americans for Democracy and Human Rights in Bahrain (ADHRB) and the Bahrain Institute for Rights and Democracy (BIRD), welcome the adoption of the urgency resolution, as it sends a strong message to the Saudi government. The use of the death penalty, with which the European Union strongly disagrees, is widely used by the government of Saudi Arabia, including for non-violent crimes such as drug-offences, adultery or apostasy. Execution rates in Saudi Arabia have worryingly grown in the past year, with 134 killed this year only under the death penalty, mainly by beheading. Further, Saudi Arabia also issues death sentences to young Saudis, for crimes allegedly committed when they were under 18 years old. This contravenes the UN Convention of the Rights of the Child, which strictly prohibits imposing the death penalty on children or for crimes committed whilst being under 18, and to which Saudi Arabia is a party. This is the case of Ali Mohammed al-Nimr, subject of the EP’s Urgency Resolution, recently sentenced to death by beheading and crucifixion by the Saudi government, and of Dawood al-Mahroon, also sentenced to death for crimes committed aged 17. Please find here ECDHR, ADBHR and BIRD’s joint statement on the EP’s Urgency Resolution on the case of Ali Mohammed al-Nimr. Please find the final text of the Urgency Resolution, as adopted by the European Parliament here.